OEMPL strives to serve best of services with right combination of productivity and safety. Our VISION is to provide world class and efficient solutions to Maritime world in. Our corporate policy is based on our core values which are Honesty, Transparency, Loyalty and Quality. 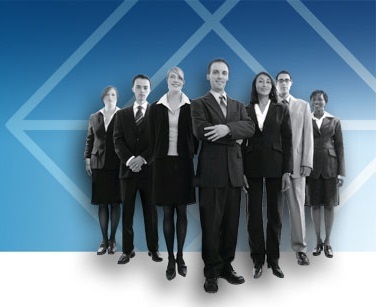 OEMPL understands the fact that human resources are internal customers of any organization. Real-time Active seafarers database to fulfill ship owners expectation. Seafarers can easily login and update their profile at anytime regardless of country and time zone. Pool sailors are having MoU with OEMPL for excellent performance onboard. OEMPL shares 20% of net profit like a stake holder with them as they play key role in OEMPL’s growth. OEMPL proudly manages seafarers for various types of vessels of different flags and Clients. And heading to achieve mile stone of 100 vessels very soon. OEMPL facilitates seafarers and owners with Flag state Certification & completes compliances by making Flag state services easy to reach for them in transparent manner. We aim for GLOBAL presence with LOCAL support for our customers and Flag State Authorities. We are happy to receive TRUST from our seafarers & client for issuance of Flag state certificates and courses. We will continue this spirit in delivering smooth services with dedication. OEMPL strives to serve best of services with right combination of productivity and safety. OEMPL has matured steadily over the years with the vintage experience and hence has been rewarded with screening employment loyalty. OEMPL never compromise with norms, regulations, guidelines and COMPLIANCE. OEMPL has always been committed towards the completion of clients’ requirements and projects. OEMPL believed in safety first and take care of safety at the minute level across the entire reach of OEMPL. OEMPL has always complied with related merchant marine norms and comply with ISO 9000: 2015 and has been ever ready to adapt as well as implement Industry changes. We respect our Seafarers and Project & compliance. its is very great n super company in India.